Connecting Google Search Console to Pagezii gives detailed insights into keyword performance. We base keyword performance compared to Internet averages. To get this Internet average, our team has run hundred of SEO experiments. Here’s how to use Pagezii to learn and improve keyword performance. Start your keyword analysis using Pagezii’s Keyword Graph. The Keyword Graph gives you a bird’s-eye view of keyword performance for your page. 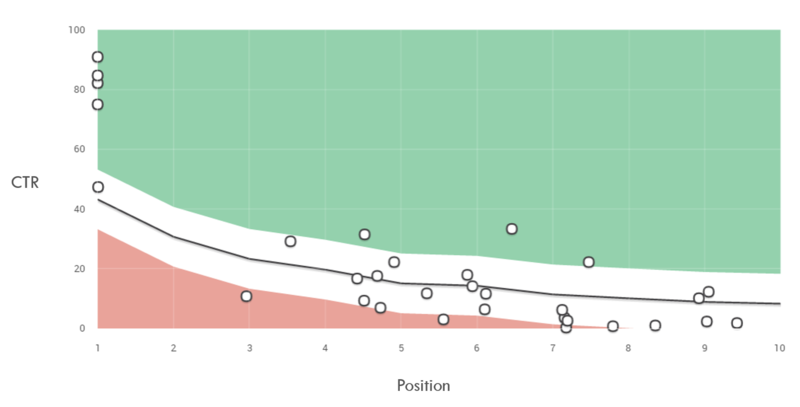 The vertical axis represents click-through rate. CTRs range from 0 to 100 percent. 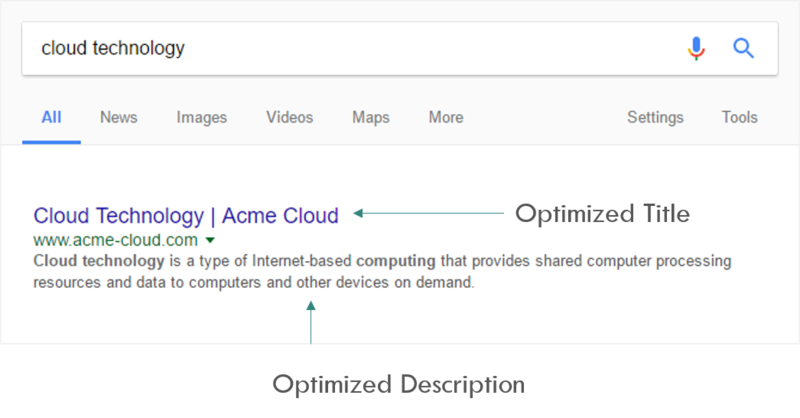 The horizontal axis represents search engine position. Positions range from 1 -10. The trend line represents the Internet Average. You’ll see there is an inverse relationship between CTR and position. This means top rank positions (e.g. being Number 1 on a search result) generates higher CTRs and vice-versa. The single points on the graph represent keyword clicks. A typical report shows these points scattered throughout the graph. Points above the trend line show higher than average keyword performance. Any points under the trend line are under-performing. The Keyword Graph gives you a quick snapshot of keyword performance. Now move on to the Keyword Metrics tables for granular data. Keyword Metrics tables breakdown performance in detail. Tables show individual keyword data by Clicks, Impressions, CTR, Position, and Performance. The Performance column analyzes an individual keyword’s CTR and position. It then compares that data to the Internet average. Using this comparison, a keyword receives a percentage above or below the Internet average. In the example above, the keyword “cloud technology” is underperforming by 15%. This means that for this keyword’s position, it should have a CTR closer to 16%. This would be on par with the Internet Average. If a keyword has a high rank but gets low clicks, it’s performance will be negative compared to the Internet Average. On the other hand, keywords with low rank but high clicks will be positive. Branded keywords generate high performance. If someone is searching for a branded keyword, odds are they have a specific site in mind. Long tail keywords produce good keyword performance. This is because they are highly specific. Tailoring pages for that keyword is going to improve alignment and keyword performance. Industry Acronyms can produce low performance. This is because keywords may have different meanings for different industries. The way to improve keyword performance is to ensure your page title and description contains the keyword you want to improve. In our example above, we saw our keyword “cloud technology” is underperforming. To improve performance, we can optimize page title and description to align with that keyword. Including “cloud technology” in the page title and description increases SEO scores. This should increase average position and CTR and will improve keyword performance. This is an easy on-page SEO exercise that can significantly improve your CTR without changing your Google rank. By making the content more palatable to your users, you increase positive interactions and get more eyeballs to the page.